Also an artist, her experience in visual arts, voice and dance has influenced her concept of health and impacted her approach to bodywork. Beginning in 2009, Lesley apprenticed as a teaching assistant at Humber College School for the Performing Arts under the mentorship of Fides Krucker for voice and Pam Johnson for movement. 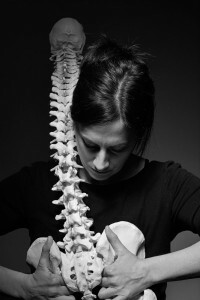 During her time at the college Lesley researched the relationship between manual bodywork and physical expression offering private sessions to the staff and students. Influenced by her experience at the theatre school, she developed a group class approach to working with the body through breath, movement awareness and craniosacral practices. In 2007/2008 Lesley was involved with the certificate program at the Deep Listening Institute under the mentorship of composer Pauline Oliveros, author Ione and dancer Heloise Gold. She studied Dr. Oliveros ground-breaking work on the practice of listening, working with these concepts in relationship to bodywork. Lesley’s essay, Deep Listening and Touch, Unwinding the Body of the Voice is included in The Anthology of Essays on Deep Listening and was published in May 2012. Lesley has completed 3 years of training in Original Voice with Dr. Clarissa Pinkola Estes in Colorado studying Dr. Estes methods of connecting with ‘true self’ and ways of maintaining this relationship through to completion of creative projects within any discipline. She has a special interest in women’s health, vocal health, as well as a partnership with C.A.D.A. to support professional dancers in their health care management.